The language of love is universal … or so we’ve been told. The truth is that just like any topic, translating romantic sayings from one language to another is not as easy as translating individual words. Romance and love, and the ideas around romance and love are very culturally specific, and therefore so is the language. Many languages have phrases about love or romance that only exist in their language. For example, in Tshiluba, a language spoken in DR Congo, the word ilunga has been described as the most difficult word to translate. It is commonly understood to mean a person who will accept poor treatment once, tolerate it twice, but never put up with it three times. It is almost impossible for someone who is not a part of that culture to understand why the word would even exist. In Hindi, the word viraag means the emotional pain of being separated from a loved one. This is a common feeling around the world, but not a feeling that all languages specifically name. We can laugh at these various phrases until we start to think about how hard to translate some of our own favorite sayings are. Bae has come to mean lover, but it’s a shortened version of “baby,” which is itself an odd phrase for a romantic partner. Literally translated breaking up might not indicate the end of a relationship as much as a serious physical injury. 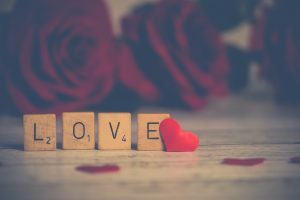 Valentine’s Day may turn our thoughts to the language of love, but looking at some of these more interesting and difficult to translate phrases is an important reminder that translation is not just a literal act, it requires an understanding of, and sensitivity to, culture. That’s why although the course of true love may never run smooth, your translation needs should. At Alpha Omega we have over 25 years of translation and localization experience, meaning that we know how to translate your documents in a way that makes not just literal sense, but cultural sense, too. Let us know how we can help you.